A few days ago I asked my followers on my Facebook fan page what recipes they would like to see on this blog in the future. So I made a list of your request and I’m making my way through it one by one. I’ve been a slow with posting requests in the past because I tend to not plan ahead and cook what I’m in the mood to eat at that moment. What recipes would you like to see on my blog in the future? I will do my best to get to your requests! 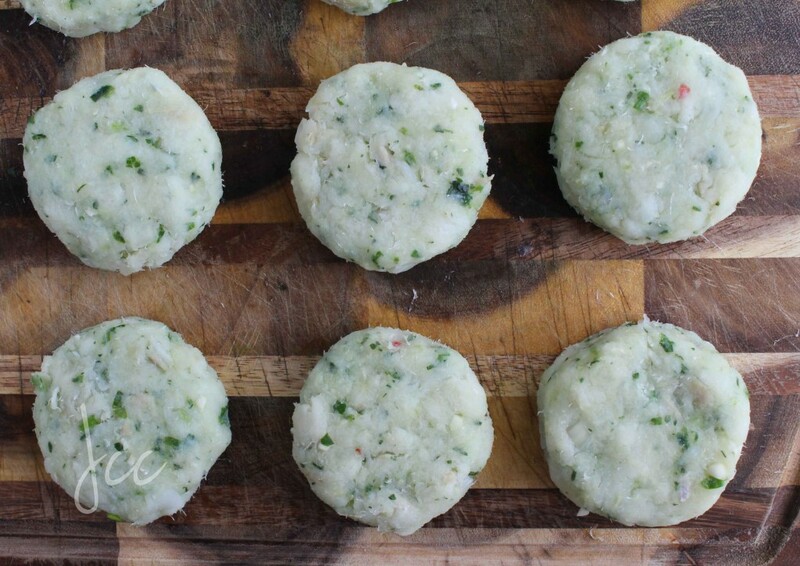 First up is Salt Fish Cakes. These are very simple to make and can be eaten on their own or with a nice bowl of dhal and rice. I ate mine with a salad. 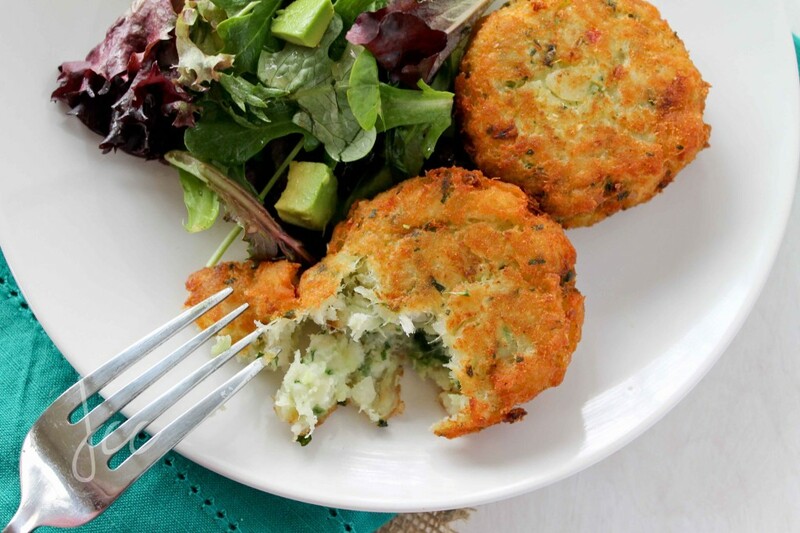 There are different versions of Salt Fish cakes throughout the Caribbean, some with potato and some without. This is the version that my mom made and this is what I now make. Enjoy! Peel the potato and cut into cubes and place in a pot with cool water and then cook until soft. Strain, then mash using a fork until there are no more lumps. Using a fork, flake cod fish into fine bits. You can also pulse it a few times in a food processor to speed up the process. 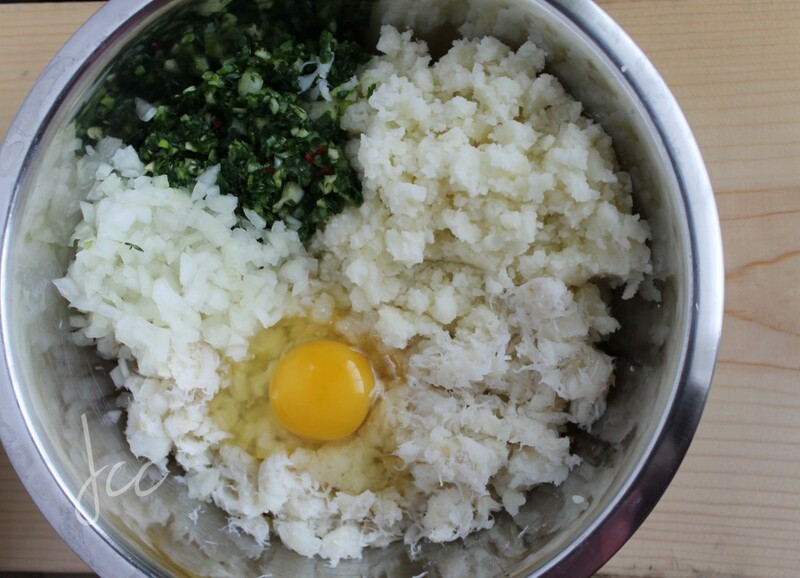 Next add codfish, mashed potato, 1 egg, onion, scallion, thyme, cilantro, garlic, pepper in a large bowl and mix to combine. Place a heaping spoonful of mixture into your palm and form a patty. Set aside, then repeat with the remaining mixture. In a frying pan over medium low fire, place enough oil so that it’s approximately ½ inch deep. The oil should be enough to come up halfway the side of the salt fish cakes. 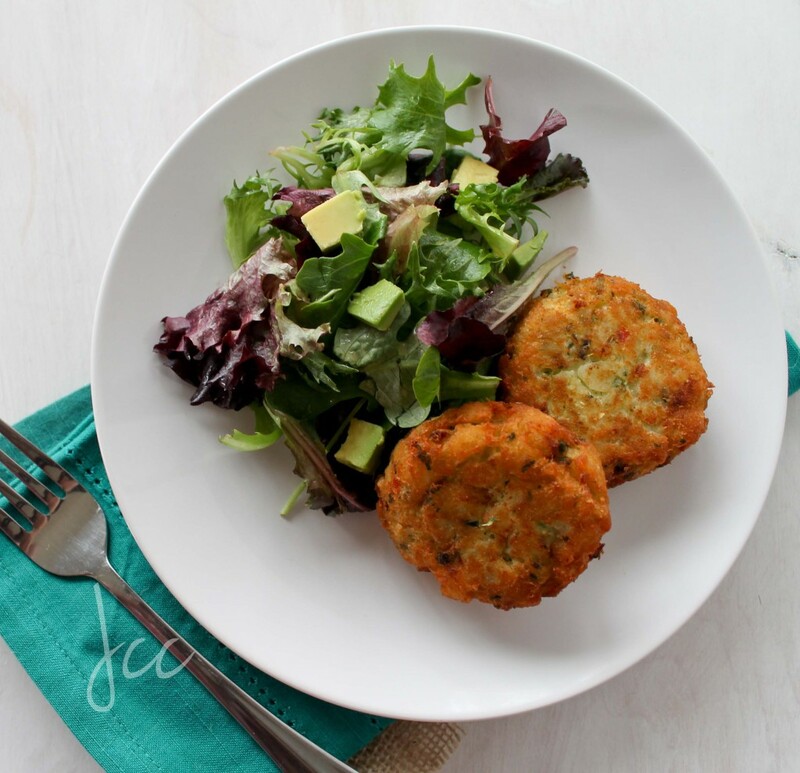 When oil is hot, add salt fish cakes and fry for 5 minutes per side until golden brown, turning once to make sure the other side gets brown. Remove from the oil and let drain on a plate lined with paper towel. Serve warm. Follow me on Facebook and Instagram @Jehancancook for updates in between posts! Just made these with dhal and rice and they are absolutely perfect. So simple and easy as well. Wow Melly, that was fast! Glad you enjoyed it. We used green seasoning once in a batch of rice and beans, and it was so good. Loved the flavor (and spice) it added. That would be nice in this fish cakes too! I use green seasoning alot in my cooking as it’s an easy way to add flavor. Can you bake them as we’ll? Yes, these can be baked but I would probably roll it on bread crumbs and spray it with cooking spray to help it brown. Hi Jehan. Can I use cod filets that have not been salted? June, you can use fresh cod but you will have to add salt. Thanks so much. I’m going to make them as an appetizer. I’ll let u know how they came out. I would have much rather used salt cod but couldn’t find any. Just made these last night per your recipe. Needless to say, they were phenomenal. Thank you! 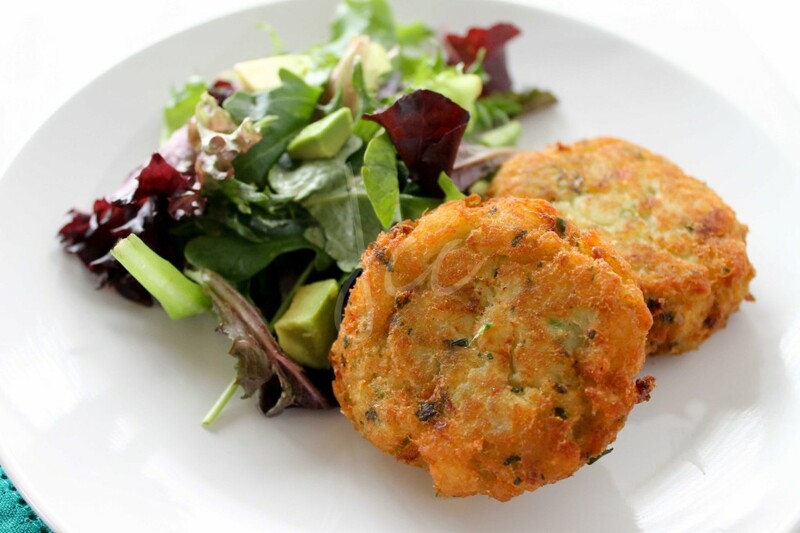 This recipe was very easy to follown and my family loved the fish cakes. Keep up the great work.